How should children with disabilities be disciplined when they pose a threat to school staff and to other students? Teaching is an isolating activity; at least it certainly seems so at times. Between the bells, you are in a room with 15 students who are diverse in many ways. They have different intellectual abilities, some have physical disabilities that need special attention and some, if not most, have behavioral issues that affect the way your classroom is managed on a day-to-day basis. This behavior piece has always been my greatest challenge. What is the balance between discipline for a single incident of misbehavior and a consistent plan or approach for managing difficult behaviors among all of your challenging students? Obviously, the latter is what you aim for. Once you have a consistent plan in place and everyone knows the rules, shouldn’t things fall into place and discipline become easier? It certainly can become easier, but there are always incidents of behavior that defy your classroom routine. Some students bring pain and emotional stress into your classroom that you cannot even imagine. The stress is like an overfilled balloon; it eventually needs to be released, and you are the only thing keeping the explosion from hurting that student or others in your care. SPED teachers receive some specialized training in defusing tensions, but this never seems enough when a child explodes. When the explosion becomes a fight between two students, the instinct is to jump in and pull them apart. We know from our training, though, that this is the wrong thing to do. You could be injured, thus leaving no one in charge, and further injuries can happen. The procedure is always to get assistance. I remember when classrooms had no phones and we had no idea what a cell phone was. A few years ago, we brought in a crisis intervention team to provide training for our teachers in handling just such events. We used a company called CPI; they sent a team to our district and managed a four-day seminar in non-violent crisis intervention including restraint training: how to touch or otherwise handle a student in crisis who needs to be restrained so he doesn’t hurt himself or others. It was one of the best investments we’ve made for our staff. It was so effective that we’ve expanded the training to our entire staff on a voluntary basis. We may even make it mandatory. One of the great things they provided was to give extra training to some of our own teachers in a teach-the-teacher model so we could do our own training after they left. We used a combination of city and grant funds (IDEA federal funds) to transport, house and pay the team for their efforts. During the training, the word respect kept popping up, and it’s an important element in the training. If all parties are respected during an episode that requires physical restraint, the procedure is easier and certainly much safer. The word respect seems to calm people down somehow. Emotions can run high, especially among children who have few resources to manage them. Once the initial incident is defused and the child is returned to the classroom, teachers can work together to try to find out why it happened in the first place. It may be necessary to bring the parents in to see if there’s something in the environment at home that is causing problems. When the whole family is involved, problem solving can proceed more effectively. Obviously, this is a greatly simplified description of how a school district can approach behavior management programs. Let me know how your school or district manages behavior. Description: Giving on a national basis to advance the moral, mental, and physical well-being of children of all races and creeds; to aid and assist in providing for the basic needs of food, shelter, and education of such children by whatever means and methods necessary or advisable; to prevent by medical research or otherwise the mental and physical handicaps of children. Funding also provided for the research of pediatric diseases. When I was in graduate school for learning disabilities XYZ years ago (years disguised to protect my vanity), I wrote a paper with the title “Overrepresentation of Minorities in Special Education.” It was a huge undertaking and the paper ended up asking more questions than it answered. The gist of my thesis was that behavior issues unfamiliar to the average middle class teacher were causing more SPED referrals for minority students than for others. The professor took pity on me and gave me an A probably because I had the temerity to tackle the subject in the first place. As I was researching the topic, I realized one of the keys to success is to give teachers the support they need to identify and remediate difficult behaviors before the referral process is under way. Since then, much has been written about the pre-referral process for students with behavior disorders. 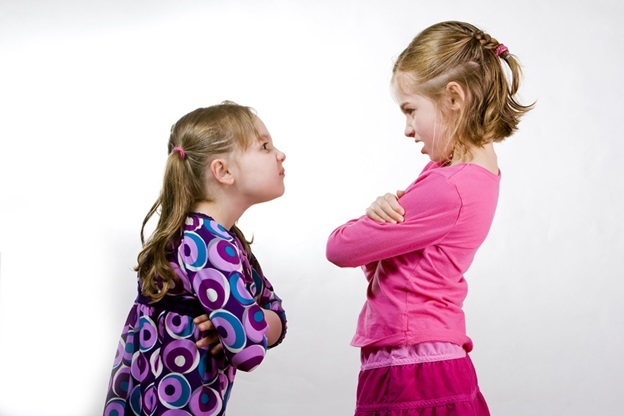 Teachers become frustrated with kids who are acting out. They have no way to mitigate behaviors before they escalate. In many cases, they don’t know how to set limits and provide options to students who are frustrated in their own right. Students have a way of behaving themselves into a corner from which there is no escape. Both teacher and student need strategies to de-escalate situations that can get out of control. Many years after the ambitious paper was written, I have experienced difficult kids and have found ways to work with them to find viable solutions to problems. There are some wonderful resources available for teachers now, especially since the advent of the Internet (see the end of this article to find some of them). My favorite is a big red book called “Pre-Referral Intervention Strategies” by Stephen B. McCarney, Ed.D. 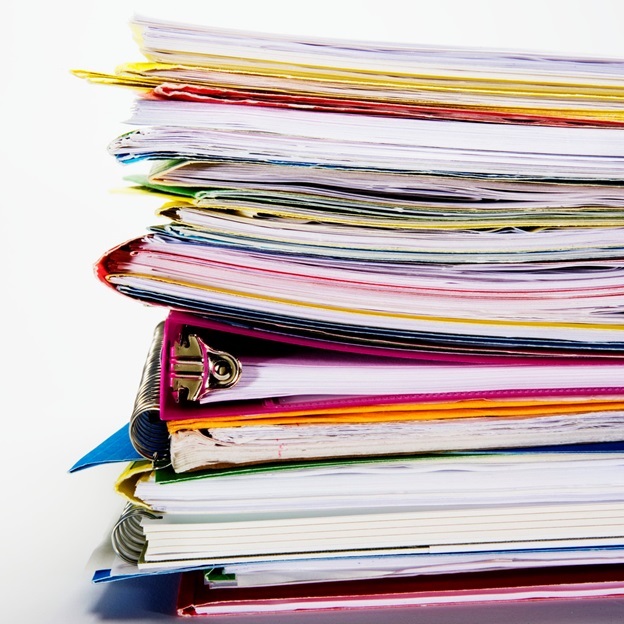 There are hundreds of forms and checklists for teachers to use. The resources establish step-by-step behavior interventions that work. Schools are developing a team approach to work through problems to prevent referral. evaluate the impact of the interventions so the child can succeed in the general education classroom. Since public law 94-142 was implemented, the goal has been to mainstream children into the least restrictive environment, ideally the regular grade level classroom. A team should include parents, psychologists, and other teachers who meet with the child in other classrooms, a special education administrator or behavior specialist. It’s not always possible to bring parents to meetings, but an interview with them is essential so you can know how they deal with behaviors at home. When strategies are finally developed, they work much better if they are delivered in a coordinated fashion at school and at home. A child’s strengths, interests, and talents are described. Reasons for referral are listed, including behavior and academic achievement. Interventions are shared to address immediate concerns. Strategies are evaluated to see what works. Here are some resources to help with developing a pre-referral team approach in your school. As always, keep in touch and let me know how your school works with pre-referral teams. Description: Autism Speaks seeks to directly support the innovative work of autism service providers in local communities across the United States. The focus of our Family Services Community Grants is three-fold: to promote autism services that enhance the lives of those affected by autism; to expand the capacity to effectively serve this growing community; and to enhance the field of service providers. They say that experience is the best teacher of a teacher. That is certainly true in my case. When I first started teaching in a special education classroom, I was kind, giving, quite frankly, a sucker. Kids manipulated me into a corner every single day. So, over time, I learned to be less of a friend and much more of a guiding hand, sometimes a shoving hand. I learn so much about my students this way. I can observe family dynamics, see where my student fits in the family order, see how parents interact with their kids. Are they warm and loving and supportive? Are they stern, controlling? Are they protective (or over-protective) of their special education child? These characteristics and family interactions give me ways to approach the child in the classroom, I understand them better. I can observe the home itself and I don’t mean for House Beautiful comparisons. For many years I worked in urban schools in inner cities. I saw poverty first hand, and also saw how tempting the street can be for students. When you don’t have much, it makes sense to join with a group of kids who also have very little. These bands of poor kids can, if guided by a mentor, do wonderful things. I have the utmost regard for organizations like the “Y”, Girl’s Clubs and Scouts, etc. If students have a sense of purpose, and a responsible adult to guide them, the negative effects of a gang mentality can be avoided. I also work closely with the police. The schools I have worked in were lucky to have community officers. They helped to prevent many bad decisions kids choose to make on any given day. Another must for me has been taking advantage of every possible opportunity for professional development. Lately it has been attending workshops on Common Core State Standards curriculum integration for Special Education, and on technology. I haven’t decided yet exactly how I feel about distance learning; this is true of professional development as well as some of the new “courses” online for schools. For classrooms, asynchronous learning by itself is not sufficient. You need a teacher and interaction of some sort with other students. Some of the credit-granting schools for students who need more classes to graduate from high school may be helpful to some, but I worry about academic rigor. With SPED kids, there are many other factors to consider that an online solution may ignore. Not all distance learning is suspect. I’ve discovered a website called Lynda.com. There are a slew of video based tutorials here on computer software programs like Microsoft Office and Adobe Acrobat. These lessons are very helpful in bringing me up to speed on new products, too. There are other examples of this for teachers. This kind of online learning, no stakes informational presentations, will flourish and do well. I worry though about online degrees and online high schools. There are so many new software products for managing the day to day operation of your classroom, including the automation of IEPs that I can’t list them all. I found an article that shows you how to choose an effective system. And, hold on to your hats, I still grab a good book to stay up to date on what teachers are reading. A list here stays on the topic of becoming a better teacher. So, out of the box, you are no doubt a great SPED teacher (or “regular” teacher). Just remind yourself that there are some specific steps you can take to brush up on new skills, and improve the ones you have. Let us know some of your tips and tricks to be a great SPED teacher. I learn from my readers all the time. Description: The recipient will be recognized at the annual National Science Teachers Association Convention, at the Science-Abled Breakfast, sponsored by SESD and Reaching the Pinnacle for Students with Disabilities. The winner of the Scadden award is expected to attend the NSTA conference to accept the award and a check for $1,000.00. The $1,000.00 stipend associated with the Scadden Award is provided to offset travel expenses to NSTA. Last time I wrote an article about behavior and special education. Needless referrals to special education services are a reality in schools throughout the country. Teachers reach a certain boiling point with children who act out in their classrooms and all steps to modify their behavior have been taken. Rather than just talk about it, I thought I’d gather some resources for you, material you can use to help you decide if a behavior is past the point of no return for you, and a special education referral is warranted. I’ll also share some solutions that may work for you. You’ve used up your classroom tricks and devices to bring a student into your classroom community. The behavior persists; in fact, it is accelerating and troubles you to the point where you need to pull in some people who might be able to help. This is the place to start. Ask your principal or department head to come in to your classroom and observe the dynamic that has developed in your classroom because of one or two students and their errant behaviors. Ask that they stay for an entire class session or at least an hour. Ask them to be truly honest about what they are seeing. Maybe your perceptions have been blown out of proportion, you’ve been frustrated for a long time now, things can appear worse than they are. This tactic takes a certain self-awareness. You are exposing your class, warts and all. Isn’t it worth it though, to get to the bottom of the problem? It will help to have a checklist they can use to mark off observations they are making, and then try to find methods for remediation. A resource I have used for years is “The Pre-Referral Intervention Manual” by Hawthorne Educational Services. Now in its 4th edition, the book is chock full of checklists for modifying behavior that disrupts your class. They take it another step and provide solid strategies for modifying the behaviors so you don’t need to take it to the next step, a SPED referral. You can also find a great resource for becoming familiar with RTI (Response to Intervention). RTI is implemented on a district and building level. It’s a complete system for modifying behavior, but also academic interventions so you don’t lose sight of the real issue, the behaviors that have interrupted the learning in your classroom. Are you high tech? There’s an app for your mobile device that can help you work through behavior issues. It’s a system called DOJO and it might just be what you are looking for. Use a behavior management menu. Are your students getting enough sleep? You may have LBD (Learning Behavior Disorder) students in your classroom that have already had an IEP (Individualized Education Program) written for identified behavior disorders. Once a student has crossed over into the domain of special education, the IEP should be developed in a way that provides teachers with real techniques and tools for managing the toughest problems. Analyze the IEP, maybe there are some things you should repair for the next meeting. I found an “IEP Goal Bank” that has some great advice for writing effective IEPs. iPads are showing up in classrooms these days, there are APPS and other iPad resources that can help with behavior management. Teach-nology has an entire section on their wonderful website for behavior management. This article will hopefully make you feel better. There are tools and resources that can help – you don’t have to feel alone any more. So, your first step is to call in the troops, have others in your school observe your class and give advice – they may recommend simple things you didn’t think of that would be very helpful. Your goal is to prevent referrals to special education, but you need to know that sometimes the best solution is just that, an IEP creates a legal framework for working with seriously impaired students. There seems to be no end to the ways that students will choose to drive you crazy, but there’s help out there. Let me know what you think, comment on this blog, do you have suggestions? When is a Behavior Problem a SPED Referral? One of the many challenges a classroom teacher faces in her daily classroom routine is the presence of one (or two or three) students with challenging behaviors. They take so much time from instruction for “regular” students that it has become a real problem for many teachers. They did not learn in their degree program how to deal with Joey who is throwing books out the window, or Freddy who trips little Miranda every time she walks by. This may bring a smile to your face, but you know what I’m talking about. You’ve practiced techniques for classroom management that work 90% of the time, but those students are still a real issue for you. You’ve read books, you’ve reported it all to your principal and school counselor and at the end of each meeting, you still leave scratching your head. There is a moment in many behavior problem situations, where a teacher reaches critical mass and sits down to refer the child for a special education evaluation. When does a behavior become so troubling that it qualifies for special education services? The behavior that is bugging you may be completely under control in other classrooms, what is the chemistry that exists between a teacher and students that reaches stalemate? This is a tough question. In general, any behavior that gets under your skin is worthy of correction and intervention within your own domain. Something you notice and become concerned about may go right over another teacher’s head and radar but if it’s interfering with your routine, you need to address it. I used a word above that can help you develop an accurate barometer, “troubling”. Like so many things in education, it is not black and white. However, if a child’s behavior is troubling you and it is pretty clear that unless there is resolution, this child will continue to use the behavior to manipulate his environment and you, it’s time for an intervention. In the lower grades, he/she is doing these things because he is afraid, afraid of being noticed as the failure he thinks he is, afraid of being called on and showing his ignorance. This is usually corrected by providing him with a way to be successful, give him a task at which he will shine and the behavior may disappear. But as he grows, and the behavior escalates to include things that are hurtful to others or himself, it is definitely time for an evaluation. Your principal and special education coordinator will discourage you from filing, they are buried in referrals for similar problems and the system simply cannot absorb all these kids. Your job is to document everything the child does, and document your interventions. It must be clear that you have “tried everything” and yet the situation has grown and become more troubling. The child is actively making everyone miserable, not just you. It’s not about your threshold of pain; it has more to do with the rest of your students. His behavior may be pulling so much of your attention that the rest of your students are questioning your authority or ability to cope. Time to bring in the troops and don’t be shy. There are intractable problems and you should not feel guilty or wimpy about bringing them to the attention of people who can help. I also used the word “chemistry”. Sometimes there is a dynamic between a teacher and student that is simply toxic. There is no mutual respect to build on and it’s clear that another placement would benefit both student, teacher, and class. Be sure you completely and thoroughly understand the special education referral process and that your documentation is impeccable and thorough. Where possible, make sure you’ve brought the parents in for multiple conferences to try to organize a concerted effort at both school and home to alter the behavior. Sometimes in those meetings an explanation will emerge and a solution may become evident. There are students however, who do not have a supportive environment at home from which to draw solutions. These are the cases that will sap the strength of the system, this child is really in trouble and you will all need to work together to help him out. There may be a contract you can draw up with the child and other teachers that he will sign and live up to. The other teachers (and physical education teachers are especially helpful here), who can monitor behavior when you’re not there, and come up with a plan of intervention. Books have been written about this subject, this blog is just a sample of impressions I have made over the years. I hope something has resonated with you, and don’t hesitate to comment on this blog and add to the discussion. My sense is this won’t be my last article on this subject, I know you have much to add to the conversation. Description: Kids In Need Teacher Grants provide K-12 educators with funding to provide innovative learning opportunities for their students. The Kids In Need Foundation helps to engage students in the learning process by supporting our most creative and important educational resource our nation’s teachers. All certified K-12 teachers in the U.S. are eligible. When I began my special education teaching career, the term autism really referred to one set of characteristics, a child with the stereotypical head banging and self-stimulation behaviors (hands flapping in front of the face). It was the severe problem that everyone could identify without much trouble, at least in schools. Doctors were beginning to identify a range of syndromes that fit in the term “autism”. The word “autism,” which has been in use for about 100 years, comes from the Greek word “autos,” meaning “self” and describes conditions in which a person is removed from social interaction, an isolated self. Autism usually appears during the first three years of life. 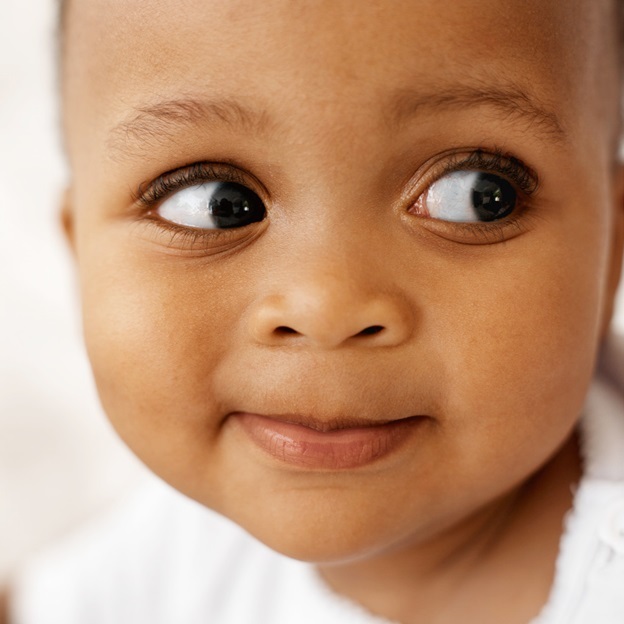 Some children show signs as early as birth. Others seem to develop normally at first, only to suddenly exhibit symptoms when they are 18 to 36 months old. Autism is four times more common in boys than in girls. It knows no racial, ethnic, or social boundaries. Family income, lifestyle, or educational levels do not affect a child’s chance of being autistic. Today, we have names for many different sets of behaviors, Asperger’s syndrome, autism spectrum disorders (ASD), pervasive developmental disorder or PDD, Rett syndrome, and childhood disintegrative disorder. There are arguments among professionals as to which disorders actually represent autism. No matter how it is described or named, children afflicted with these groups of characteristics have a tough road ahead. Theories abound about causes of autism; there was at one time a theory that an autistic child lacked enough nurturing from his mother. Scientists aren’t certain about what causes ASD, but it’s likely that both genetics and environment play a role. Some genes have been identified as potential links to the development of autism in an individual. interest in objects or special information – you may recall the film “Rain Man” where the autistic adult could barely function in social situations but had superb recall of details and performing mathematical calculations. Treatment for autism includes specialized training with behavior interventions, medication, or both. Each case is unique but it is thought that the most effective treatments include participation of the whole family. A specialist will come into the child’s home to develop specific treatments based on their observations of how the family interacts with the child and each other. As children with autism enter school, they may benefit from targeted social skills training and specialized approaches to teaching. We know that small numbers of children can eventually become socialized to a degree that allows them to move back into regular classrooms. An Asperger’s Syndrome child has a mild form of the disorder and may never need special education. He is the child who sits by himself at lunchtime or who shows no emotion during movies with animals that suffer or die. Many of the symptoms are so mild that the child is never identified. In this blog, I will occasionally focus on a specific type of situation that children face when they are identified and recommended for special education services. The range of symptoms and educational deficits presented in classrooms are so complex, that training for teachers in the field has become the most important factor in determining positive outcomes for all students with IEP’s. Teachers may wish to divert from their education training to take a more clinical route, and select jobs in clinics and hospitals. Their training becomes more like that for a physician’s assistant and their interests may then become testing and assessment of special education in schools and other facilities. It is a growth industry and there will always be a need for qualified and talented special education teachers. Today, with medical advances students arrive at our doors with a myriad of medical problems that in the earlier days would have killed them. An example of that is low birth weight and premature children who used to die in the first hours of their lives, but are now saved and brought into the community. For more information about careers in special education, contact the Council for Exceptional Education. Comment on the blog, let us know the status of special education in your schools. Description: Giving on a national basis to advance the moral, mental, and physical well-being of children of all races and creeds; to aid and assist in providing for the basic needs of food, shelter, and education of such children by whatever means and methods necessary or advisable; to prevent by medical research or otherwise the mental and physical handicaps of children. Funding also for the research of pediatric diseases. In 1975, Congress passed Public Law 94-142 (Education of All Handicapped Children Act), now known as IDEA (Individuals with Disabilities Education Act). In order to receive federal funds, states must develop and implement policies that assure a free appropriate public education (FAPE) to all children with disabilities. The state plans must be consistent with the federal statute. One of the tenets of the law provides that students who are found to have disabilities or special needs, must be provided education in the “least restrictive environment”. The law has created a large federal bureaucracy as most laws requiring compliance will do. School districts all over the country receive grants and special funding to make sure the least restrictive environment provision is met. Large school districts have created special classrooms with complex equipment and specialists to meet most of the needs presented by students with IEP’s (Individual Education Plans). Students may spend part of their day in these classrooms, the rest in regular classrooms with their peers so they can be in a less restrictive environment, thus meeting the letter of the law. In the recent past, students have been seen with increasingly complex medical and intellectual challenges. Medical science has improved birth outcomes for children with very low birth weight for instance; these children at one time would have died, but are now saved, some with complicated needs. The public schools are required to provide services for these children. Often, a child will need to be transported away from his neighborhood school to find a classroom that can meet his needs. You have probably seen small yellow buses in your town; that is what they are for, providing free transportation for special needs children to special services in their town, or a neighboring community. The special education programs in schools are based on the rules and guidelines developed by the federal government. These rules are established to protect special education students and parents and to promote the well-being of the students. 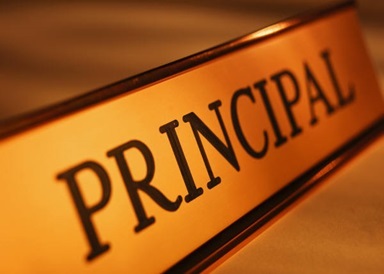 Because these rules and regulations are many, varied, and quite specific on a number of points, special education administrators as well as building principals must make sure that their schools conform to both the substance and the intent of these rules. That is not always an easy job. Many rules and regulations that administrators must understand revolve around special committees and IEP’s (Individual Educational Programs or Plans). A program could be deemed non-compliant because all the required members of the committee were not present, or properly informed, or noted in the minutes of a committee meeting. By law, each child’s IEP must be reviewed on a regularly scheduled basis so all his needs will be met as he grows. Things change, and the committees are empowered to keep up with the changes by providing new services as needed. Parents are heavily involved in this process; this is the intent of the law. Another way a program might be found non-compliant is when parents are not afforded an opportunity for meaningful participation in the committee meetings. The parents might not have been notified of the meeting in a timely fashion or the meeting may have been set up at a time or place that was not mutually agreeable. The parents might have disagreed with the committee and no meeting was set to reconvene. The parents might have refused to sign or agree or disagree with provisions of new plans. Any or all of these problems could have a school cited for non-compliance, especially if there is a pattern of this behavior. The IEP itself can be the center of a host of other non-compliance problems. This can happen if an IEP was not written to provide appropriate educational benefit to the student. Maybe the goals and objectives were not set up so that they were measurable. Perhaps the levels of academic achievement were not aligned with goals, assessments, or services provided. Now, with the implementation of Common Core State Standards and new testing requirements, students may not have been provided with proper accommodations on exams so they can take them with their peers. Being a special education administrator or a building administrator is a difficult job. It is really challenging when you have to deal with the many compliance issues surrounding special education students in the form of IEP’s, and evaluation/reevaluation meetings. This blog article is a very basic thumbnail description of some of the more basic provisions of a law that has greatly improved the academic environments for so many thousands of students. I will be writing more about this law, but I felt the need to provide this background material for you to absorb so you will understand complicated issues. If you are a parent of a special needs child, I’d love to hear from you. How is your school district managing your child’s educational needs? Are you happy with the services your child receives? Comment on this or other blogs we provide. Description: This grant is designed to encourage outstanding summer reading programs by providing financial assistance, while recognizing ALSC members for outstanding program development. The applicant must plan and present an outline for a theme-based summer reading program in a public library. The program must be open to all children (birth -14 years). The committee also encourages innovative proposals involving children with physical or mental disabilities.